If you’re caught between good and bad news, these three Microsteps can you help you find balance and clarity. Whether you receive a tense work email during a celebration at your child’s school, or can’t fully celebrate a win at the office because you are worried about the health of a family member, finding out about stressful news has the potential to cloud a joyful moment. Though unfortunate, these situations are not unmanageable — in fact, they can help you feel more in control of your emotions later on. 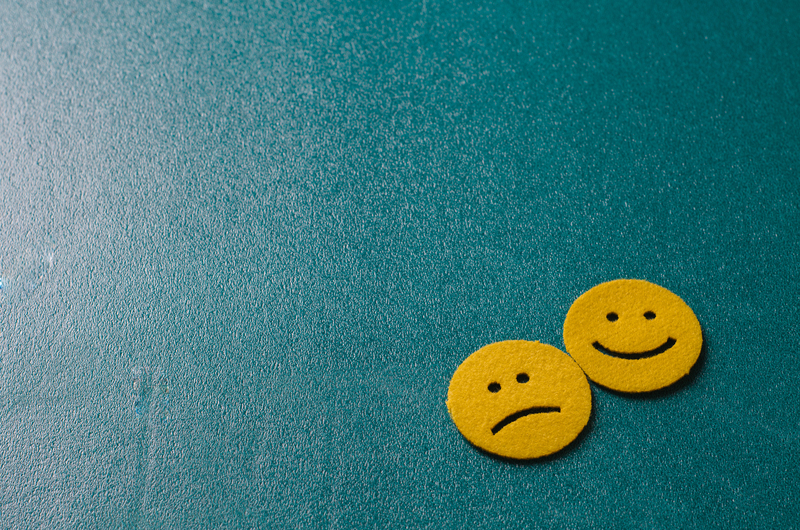 Research suggests that those who are able to embrace the good while still coping with the bad are better equipped to find optimism in stressful situations, grieve in a healthy way, and ultimately develop resilience. It is not always easy to find silver linings, but it is possible to find balance in ambivalent moments. Compartmentalizing often gets a negative reputation, but for some, it can be used as a useful short- or long-term strategy to deal with conflicting emotions. Research from Counselling Psychology Quarterly explains that compartmentalization “consists of learning to place simultaneous experiences in separate psychological spaces to aid in coping.” The process of separating emotions looks different for everyone. Some individuals benefit from imagining separate compartments or using visual aids to literally separate stressful or anxious feelings. According to the same study, learning and applying compartmentalization can prevent negative feelings in one facet of your life — such as your family life, or a specific relationship with someone — from spilling over into another and interfering with performance and well-being. Compartmentalization in no way means bottling up feelings or becoming frustrated with yourself when you let one area of your life impact another. Instead, it should be seen as a way to organize emotional and mental energy, and focus on feelings or problems separately so you don’t overwhelm yourself. If you received bad news at a not-so-good time, pull a friend aside to explain how you’re feeling and get some feedback. Identify an empathetic person you can turn to, whether they are right beside you or a phone call away, and be honest in your reflection. Upon receiving bad or unexpected news, you might not feel that you have the time and space to thoroughly evaluate how you feel. Peter Bregman, the CEO of Bregman Partners, writes for Harvard Business Review that we “live and lead in a world of imperfect information, guaranteed surprises, and unpredictable occurrences” yet we rarely give ourselves the chance to think situations through. If you find yourself in a situation where you aren’t quite sure how to feel, because you feel happiness and sadness simultaneously, give yourself permission to feel uncertain. It is OK to feel more than one thing at once. No one wants bad or stressful news, especially during a joyous time. If something occurs that might detract from a positive moment, use compartmentalization strategies, confide in an empathetic friend or family member, and perhaps most importantly, treat yourself with kindness and patience as you process how you feel.